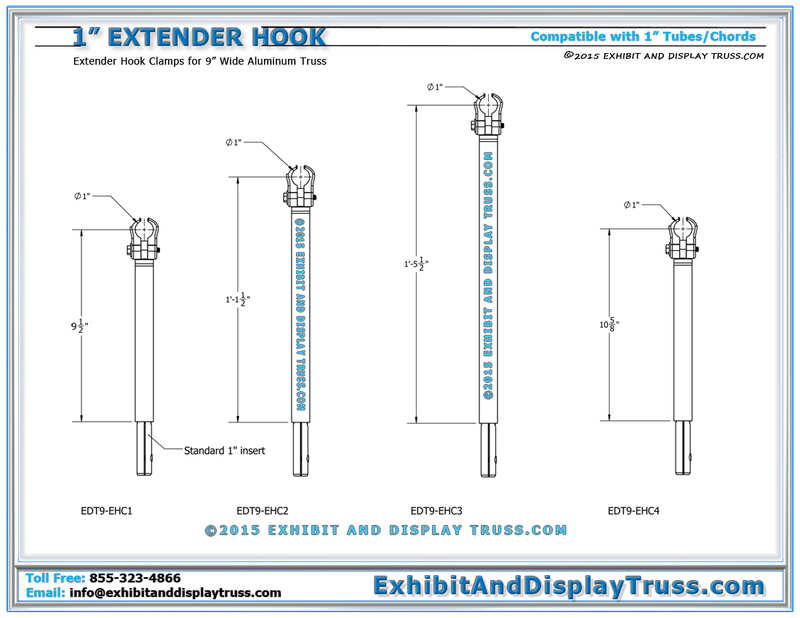 1″ Tube Extender Hooks are a great accessory for any aluminum truss system. 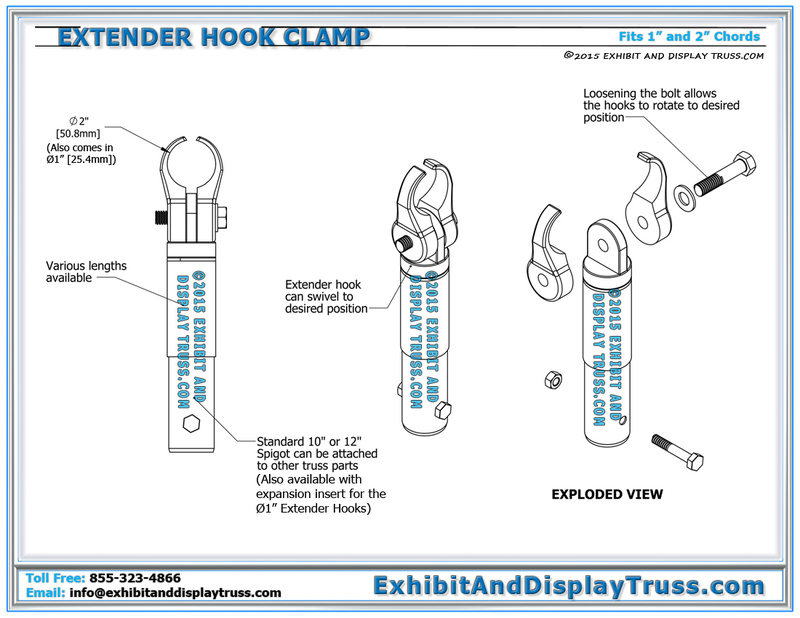 Extender hook clamps swivel and rotate, solving complex connection problems sand angles. Extender hook clamps are also common with finish line kits and Outrigger Arms for quick setup on uneven terrain. They are also used for attaching truss accessories, trade show accessories, and company banners. 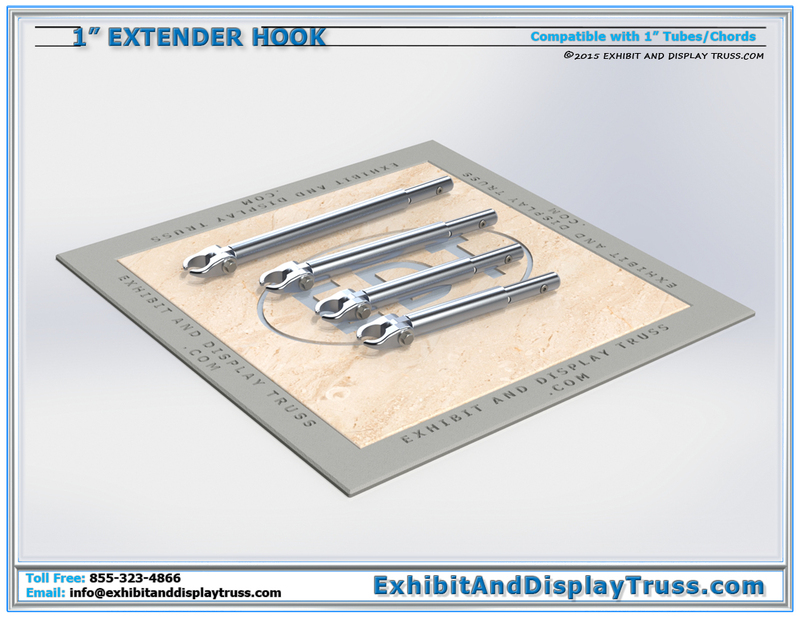 Extender Hooks Clamps are perfect for adding extra pieces of truss or cross beams to your structure. 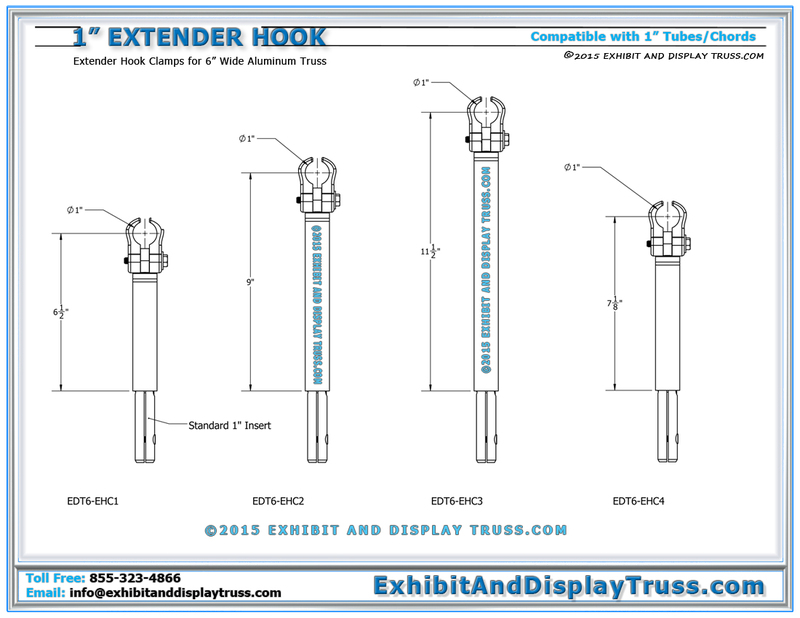 Extender Hooks are available in standard lengths (HA1, HA2, HA3, HA4) depending on the exhibit booth size and truss size. Custom lengths can also be fabricated to suit your needs. 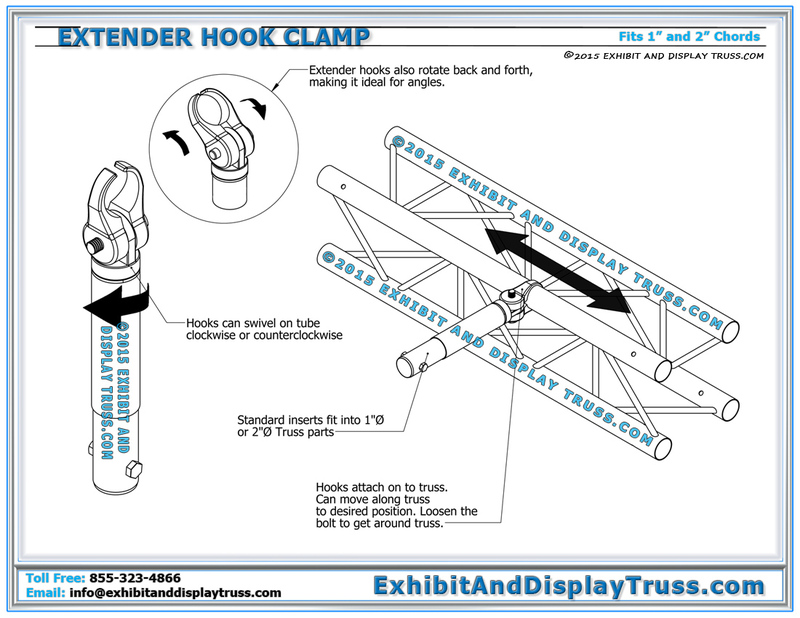 A perfect and versatile tool for attaching additional truss and accessories to any trade show truss structure. Contact us for details regarding clamp size and price. Exhibit and Display Truss offers a wide range of truss accessories and hardware that are compatible with both 1″ and 2″ chords and tubes. Easily hang banners, LCD monitor mounts and LED screens, timing clocks, banner support arms, and other truss products using a variety of our truss hardware and clamps. Aluminum truss is the perfect material for all your exhibit and display truss needs. Aluminum truss is lightweight and portable. Here at Exhibit and Display Truss and LDS Light Design Systems, all of our aluminum truss components are modular, allowing you to reconfigure and expand your truss systems in the future, creating long lasting truss systems, and getting you the best value for your dollar. All of our modular exhibit truss components come standard with inserts, connections, and hardware. Our truss systems are easy to set up, durable, and lightweight to transport to any venue. Don’t settle for faux truss and steel truss systems that are heavy and won’t stand the test of time.